Aware of the trend in crown and bridge dentistry towards a fully digital workflow Egan Dental Laboratory felt it was time for chrome frameworks to join the digital revolution. The laboratory turned to Renishaw to develop a robust additive manufacturing process for RPDs. 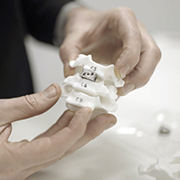 Global engineering technologies company, Renishaw, has collaborated with University Dental Hospital of Wales (UDH), Cardiff, to help overcome some of the challenges associated with surgical implants. UDH has previously used Renishaw’s additive manufacturing (AM) services to manufacture a series of dental products, including cobalt chrome frameworks. 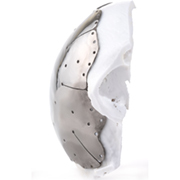 However, the hospital has also been using AM to produce custom maxillofacial implants and surgical guides. 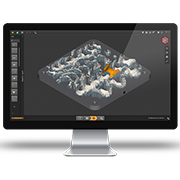 Global engineering company Renishaw offers QuantAM Dental software which automates additive manufacturing (AM) build preparation for hundreds of dental frameworks in a single operation. The software, which was launched in March 2017, can cut preparation time from two hours or more with existing build preparation software to around 30 minutes. 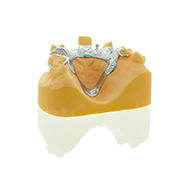 To showcase the benefits of additive manufacturing (AM) technology to dental laboratories, global engineering technologies company, Renishaw, is exhibiting at LMT Lab Day East, hosted at the Pennsylvania Convention Center, USA, on Saturday September 8th, 2018. After a successful Lab Day in Chicago, Renishaw makes its debut at the Eastern equivalent to highlight the productivity and quality assurance benefits of AM in dentistry. At the show, find Renishaw on Booth D27. Renishaw supports Bridge2Aid dental charity.